I just saw this in CNN and E News a while ago. The lawyer of Amy Winehouse's husband is filing divorce on grounds of infidelity. Blake Fielder-Civil is still in jail for beating up some people in a local London Bar. His Attorney Henri Brandman will continue proceedings for divorce because of Amy's adultery. Local shows and tabloids caught Amy with a hunk actor sweetly hugging and kissing prompting for this surprising move by her husband. Amy on the other hand refused to comment about the incident. 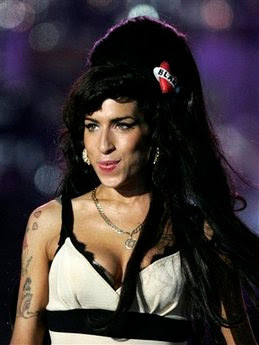 Amy is my personal idol because I haven't seen anyone drink beer and smoke PHAT while performing in their concert. She obviously has a fortune worth around 10 million pounds so this particular separation will indeed hurt her. She was caught red handed in the Caribbean with Josh Bowman.